The illustrations are from The Spurs Postcard Collection, a new publication from Vision Sports and perfect for your Christmas stocking. Scroll down for more details and 25% off for Tottenham On My Mind readers. Try as they might, the new breed at Tottenham who did so well against Everton couldn’t overcome a Chelsea side that seldom shifted out of cruise control. Instead, familiar failings returned to crush early fresh-formed hopes that emerged from our bright, bouncy start. 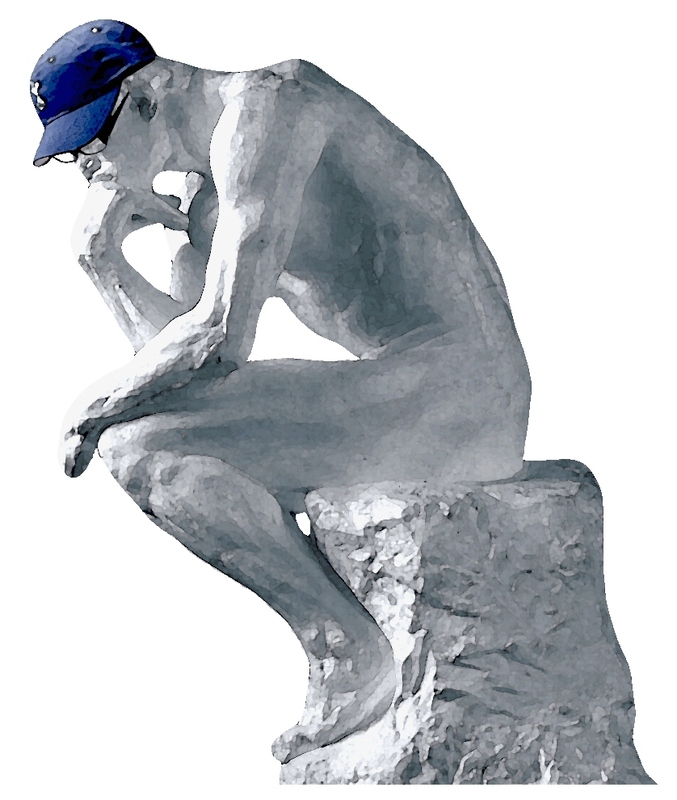 Taking on our opponents plus the momentum of recent history is hard enough without making the sort of crass defensive errors that we have come to know and – well, just know only too well. For the much of the match, Spurs reprised Sunday’s diligent approach. Bentaleb was excellent, especially in the second half as we pressed more men forward, often leaving him as the rearmost midfielder. They earned by far the lion’s share of possession, in contrast to the Everton game where we won with around 35% of the ball. However, beyond the opening 20 minutes there was nothing much going up on front. A few oohs and aahs, maybes and could-have-beens as Eriksen and Lamela almost but not quite played the perfect ball. Last night almost was a long way. Chelsea dispassionately despatched their opportunities, grateful no doubt for not having to work very hard to get them, whereas we huffed and puffed without making a proper chance in the second half. Add a couple of defensive implosions and we were nowhere near competing in this one. Spurs opened well and as so often flattered to deceive. Harry Kane continued his one-player offensive against complacency. Playing on his own up front, from the kick-off he took the game to our opponents. A different position compared to Sunday but the same result. Chelsea backed off and chances came our way. Vertonghen headed over and Kane’s header hit the bar. Lennon’s cross was slightly behind him but he did everything in his power to twist it on target. Lennon was dangerous too – a right-footed winger on the right, taking people on. Don’t how the tactical geniuses in charge of Spurs recently missed that one. Kane then left Cahill on his backside, cut in from the left and his shot slithered across the goal and wide as three white shirts pleaded for a cut-back. For a time Spurs had control of the game, but that was pretty much that. The Blues stretched, wiped the sleep from their eyes and awoke. Lennon tracked back on Hazard but did not get goalside. Chiriches drifted forward a couple of yards to cover space at the edge of the box. Fractional errors, put them together and suddenly a one-two opened up yards of room on our right and Hazard scores. Such are the margins. Almost is a long way. Our system depends on not conceding the ball as we build from deep. The fullbacks push up and the centre halves split. Off they dutifully toddled as Hugo had the ball at his feet. They could only watch as the Frenchman’s feeble kick was picked up 35 yards out by a Chelsea player. No surprise the pass was good and Drogba made it two. Again a fatal error from our best player, and sadly not for the first time. All his athleticism and commitment, which we saw on several occasions in the hour that followed, wasted if he can’t kick the ball away very far. Second half, Lennon went left and the ineffective Lamela right, allowing Eriksen to be busy in central areas. For Mason this was one match too far. He was replaced by Paulinho early on. Chadli helped Kane out up front but as I’ve already said, plenty of ball without getting anywhere, and there’s no point in saying more about that. Time dragged as the match reached its inevitable conclusion. Not expecting much but I would have appreciated getting a shot in. 2-0 would hardly have been a consolation but the third still hurt. With Spurs pushing forward, Vertonghen was left one on one with sub Remy. Twisting and turning, Verts tried the block, thought about the foul but opted for falling over. An easy finish. Chelsea are streets ahead of the opposition this year, one of the best teams in Europe. No disgrace in losing to them, we’re not the first and won’t be the last, but it would have been nice to make them at least break sweat. They won at a canter, easily absorbing our pressure despite our best efforts. Bentaleb was our best player, keeping things moving despite it all. Pochettino has gone from suit to blazer to tracksuit and now gilet (I shuddered at the memory). Still, it seems something is getting through at last. Develop this style and shape and good things will happen. Yesterday that was nowhere near sufficient to bridge the gulf in class between the two sides but tell me something I don’t know. Eyeballs out for Palace on Saturday, put everything into that game and come away with the points. The collection comprises 50 postcards each with a painting of a Spurs legend and comes in a snazzy presentation box. 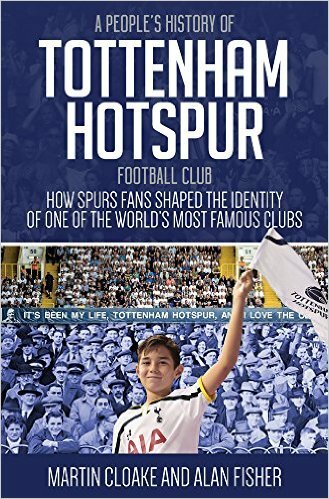 Vision have a history of producing high quality books about Spurs, including the fabulous Biography of Spurs by Julie Welch and several classics by Adam Powley and Martin Cloake, all of which are warmly recommended as Christmas is coming, but they are just as good at Easter. They know the club and the fans so the images are well-chosen. Naturally enough there’s a preference for current or recent players, alongside not only stars across the years but also scenes such as the ’81 Cup win or Dave Mackay putting Bremner in his place. Lloris’s kicking has always been the poorest part of his game. That can prove fatal against the bigger teams who have the players to capitalise on goalkeeper distribution errors. Man City come to mind last year. Lloris needs to learn how to kick a football properly! With Man U apparently interested in Vertonghen and now PSG rumoured to be showing interest in Christian Eriksen are we approaching another Bale/ Modric fiasco?? I worry about Levy when big money is offered!! Pretty much says it all Alan. Would have been nice to make them work harder or even park the bus and frustrate the hell out of them. But as you say, C…… are streets ahead of anyone else right now so no shame in losing to them. There is no way we can compete with them given the resources they have at their disposal. Not that we should give in and shrug. Look at the example set by Sunderland. The most worrying aspect of last night’s game was the number of individual errors that led to their goals. This has been a big problem for us over the last two seasons now. Two big positives though. Poch is the right man for the job so long as he is given time. If he is also allowed to move on the players who don’t buy in to his system then we should become a cracking team over the next 12-18 months. Which brings me to my second positive. We have a great nucleus of academy players to build a team round. More of this please. We still love you Hugo. MP is the right man for the job? Indeed he is, providing the job is to come into a club with a great conveyor belt of talent all developed by someone else, and then take the credit. He is far from the man for us, and that was clear to all but the blind and hopeful from the outset. When we have done well against the big guns it was always with an edge of emotion,a Jamie O’Hara bandage around the head and,blood and guts. But its very difficult to do so while concentrating on a system you are not used to. Before the Everton and Chelsea games,I think most Tottenham fans would have been happy with 3 points from the two games. But after we beat Everton,the expectations went up 10 fold. Chelsea really are Real Madrid or Barca. They are difficult at best to play and when we have to negotiate our own system and build up sufficent emotion to win the day and 20 minutes and 2 serious errors later we are 2-0 down the daunting task become impossible. Blame whoever you like but to get where they are Chelsea have spent 100’s of millions. I look back at Tthe Everton game and think that it was a great win .Im still happy with that win. We started the Chelsea game relatively well and with a little luck our best player Kane would have scored and as it turned out our player of the year,Lloris and our player of the week,Lennon both put us behind the 8 ball. I mean was Lamela tip toe through the tulips routine going to get through that mega defence? Was Eriksen going to finally hit a through ball for the first time since he has been with us to split the Chelsea defence going to help us? Who would help us? Dont look to Soldado or anyone else to save us. We have to forget. Forget this game. We have to beat all the teams we have to beat. This meant nothing. Losing to Stoke,Liverpool,West Brom was huge but not this. There are fully grown men with kids who haven’t seen Spurs beat the chavs at the bridge. This is not right, no matter how you want to dress it up. It’s pathetic. You have lost your nut. You are the most negative Tottenham supporter on the net. Interestingly, I was able to find a few really good spots in last nights match. When you expect little at the start perhaps the little things are magnified. Fazio has shown some significant improvement in a short few games from Mr Red Card to a solid partnershp with Verts, only one really costly error allowing Drogba to receive and layoff the pass for the first goal, Drogba is still a powerful handful in the box. Bentaleb showed great class on the ball, and will eventually be a target for one of the money flushed teams, he is very composed in possession, similar to nearly every Chelsea starter, a consistent quality of all Jose teams actually. He needs to sharpen his penetrating passing, it would be great to see him get a goal soon. It amazes me that we did not start Soldado, it seems that two strikers would give the Blues more difficulty than a Lamela who over dribbles and loses possession too easily, he is a bit spastic but talented, hopefully time will help mold him. I think Soldado in support of Kane and shade Lennon back to help Vlad would have made more sense, make Chelsea beat you down the right, not with Hazard who can skate past anyone. Once again Poch selects a team unsuited for the purpose. Against Everton he had the chance to try the combo of Lennon, Mason, Bentaleb and Eriksen and the result followed. As soon as Lamela came on as sub we conceded the initiative to Everton and were lucky not to concede the penalty. Sunderland showed how to play Chelsea by stifling all space around their attackers so what does Poch do? he plays Lamela from the start immediately giving Chelsea an advantage. Lamela cannot defend or tackle and his contributions to meaningful attack are pitiful. He is a luxury player whose tricks and flicks more often than not concede advantage to the other team as move after move breaks down. This was a game calling out for the midfield to be thickened up with a Paulinho and/or Stambouli. Instead Bentaleb and Mason had to perform heroics as Chelsea passes found Drogba who gave a master class in finding space and playing others in. Suspect team selection played as much a part as individual performance in this defeat. Ah well, not long to go now before the January transfer window creaks open. Poch has had his chance to try all his squad in every combination imaginable. I’d be worried if I was on the bench on Wednesday, or not on it all, and seeing the young talent being preferred against the best team in the country. Any bets on Townsend still being here next month?